Harry Kane's phenomenal goalscoring exploits for Tottenham and England makes him an automatic selection for both. As such, the news that Kane is facing at least six weeks on the sidelines with damage to his left ankle ligaments provides a major headache for Mauricio Pochettino. England begin their Euro 2020 qualifying campaign against Czech Republic on March 22, meaning Gareth Southgate's hopes of having his captain operating at full tilt have been severely compromised. Kane's superb returns over recent seasons have come despite three previous ankle setbacks hindering his progress. Here, we look at when those injuries occurred and what happened next. 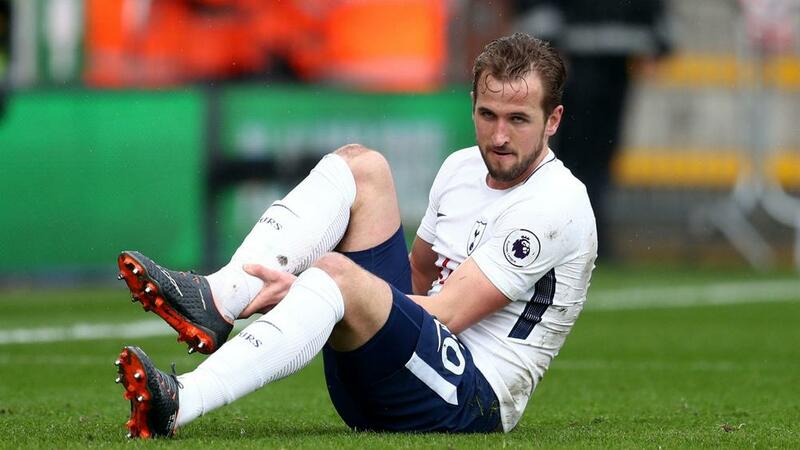 Kane scored the only goal in a 1-0 win at White Hart Lane but was substituted during the closing stages and left the stadium on crutches with damaged right ankle ligaments. Spurs went five games unbeaten in the Premier League in Kane's absence – beating Middlesbrough and Manchester City before stringing together consecutive draws against West Brom, Bournemouth and Leicester City. Pochettino's men beat CSKA Moscow but took one point from two Champions League matches against Bayer Leverkusen before failing to make it out of the group. Kane's replacement Vincent Janssen opened the scoring with a penalty in an EFL Cup fourth-round clash at Liverpool before a Daniel Sturridge brace sent the hosts through. Such form helped Sturridge to begin Southgate's tenure as England's first-choice striker in Kane's absence for the World Cup qualifiers versus Malta and Slovenia. Ten minutes into a 6-0 rout against fellow Londoners Millwall in the sixth round of the FA Cup, Kane suffered a similar injury to his right ankle, albeit less severe. The three Premier League matches he sat out against Southampton, Burnley and Swansea City all ended in Spurs victories, while England's encounters with Germany and Lithuania later in the month were also out of the question. He was back to score in the semi-final showdown versus Chelsea but could not avert a 4-2 loss. Kane finished Russia 2018 as the proud winner of the Golden Boot but alarm bells were ringing four months earlier when another right ankle problem struck at Bournemouth. Despite departing the Vitality Stadium in a protective boot, the forward's convalescence was brief. England's March friendlies with Netherlands and Spain came too soon, as did the FA Cup quarter-final win over Swansea, but Kane was back as a late substitute in Tottenham's next Premier League match – a long-awaited 3-1 win at Chelsea. Pochettino will hope for a similarly ahead-of-schedule return as Spurs look towards a possible EFL Cup final, north London derby and Champions League last-16 clash with Borussia Dortmund as February turns into March. It should be noted this injury is the first to Kane's left ankle and not his right as on the three previous occasions.